We’re going back to the future and taking you with us! Verizon Wireless engages their consumers with weekly social media content, delivering the best samples of the digital world to their 133 million+ subscribers. Blend produced the teaser trailer for their sponsorship with Lyft to celebrate the 30th anniversary of “Back To The Future”. We also produced the corresponding live event in New York City on 10-21-15, where select Lyft users were surprised and delighted to experience their Lyft ride in a DeLorean. This campaign was Verizon’s most successful to date, with over 22 million media impressions. 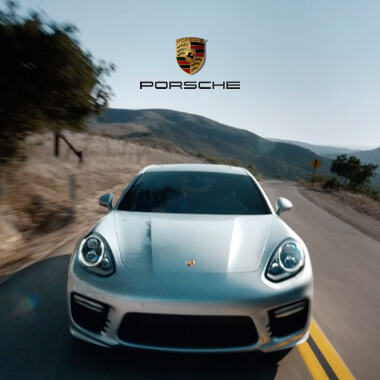 Porsche Premium, commercial-grade content for a premium brand. Mastercard + Lyft Surprise and delight campaigns. Connecting mega brands to real stories.